The details of any wedding are super important to photograph. LMAC Photography prides itself on the art we create utilizing these details. 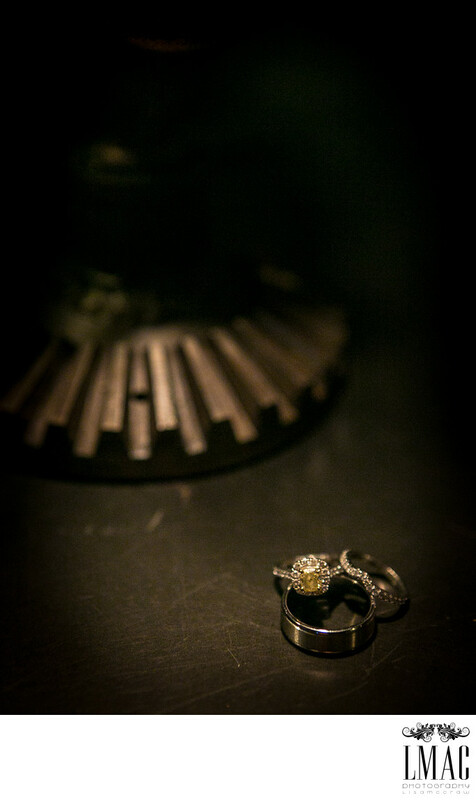 These wedding rings were photographed at the wedding of Jessie & Steve, whose beautiful wedding reception was held at the Metropolitan at the 9 in downtown Cleveland, Ohio. Their amazing wedding ceremony and many of their photos were conducted at the spectacular Botanical Gardens in Cleveland, Ohio. The Metropolitan 9 is located in an old bank vault and there are so many amazing photo opportunities. There are many eclectic rooms to the space and we selected an antique lamp to both light and to serve as the backdrop for this photo. Each wedding is uniue in it's details and LMAC strives to capture each and everyone in the photography. Location: 2017 E 9th St, Cleveland, OH 44115.